Fabian Mattern began his flying already at the age of 14 as a glider pilot. He soon advanced to single engine airplanes and later his passion for aviation became his professional occupation. Starting his career in 2003 as First Officer on an Airbus A320 with FlyNiki in Vienna from where he changed in 2005 to LTU/Air Berlin flying mixed Airbus A320 and A330 on international longhaul flights. In 2008 he joined Cargolux Airlines Int. as First Officer. Soon after he continued his engagement in flight crew training initially as Theoretical Knowledge Instructor and later also Type-Rating Instructor for Boeing 747-400/-8F with involvement in various projects, such the entry-into-service of the 747-8F as launching customer or development of the Recurrent Ground Training. 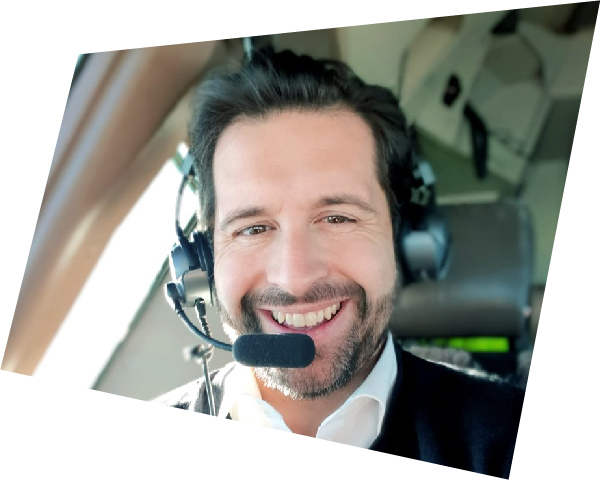 Besides training Fabian joined in 2015 the core team of development pilots working on the Cargolux China Joint Venture project where he assisted the VP Flight Operation and Director mainly with recruitment and training matters. Currently he is Senior First Officer, TKI, TRI and supports the chief pilots office with pilot recruitment projects. He is a member of the Pilot Recruitment Selection Board.